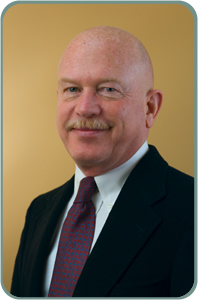 Jerry Jaques’ law practice focuses on estate planning, probate, trusts, trust administration and property transactions. In addition to representing individuals, Jerry handles legal matters for the Port of Hood River, a public agency which owns an interstate toll bridge, light industrial and commercial properties, a marina, the local airport and waterfront recreation areas. Over the years Jerry has also represented other local government districts and cities. Jerry received his bachelor and juris doctor degrees at the University of Oregon. After passing the bar he joined a law firm in southwestern Oregon, and later became a partner. Jerry subsequently returned to his home town, Hood River, to practice law. Jerry savors living and working in Hood River- a special, vibrant town in a gorgeous location. Jerry’s office is a 10 minute walk from home. Jerry and his wife, Deborah, also live a short walk away from the homes of their two children and grandchildren. Jerry enjoys searching for edible forest mushrooms, snorkeling with sea turtles, engaging conversations, and spending time with his family and friends.